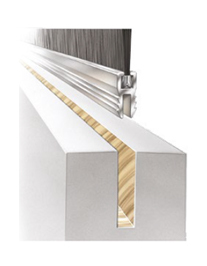 The Formseal Brush Strip range consists of six brush section sizes with over forty trim lengths from 8mm to 300mm, all available with or without aluminium fixing carrier. All standard sections are filled with Type 6 black nylon, a hard wearing material with excellent recovery properties able to cope with temperature variations from -40C up to 100C. Each corresponding aluminium fixing carrier is available with the fixing flange set at 180, 90 or 45 degrees. 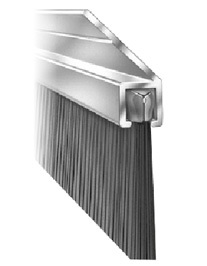 All brush strip and aluminium sections are stocked in 2.0 metre, 2.5 metre and 3.0 metre lengths. Cut lengths are available on request. Contact us for your bespoke quotation. 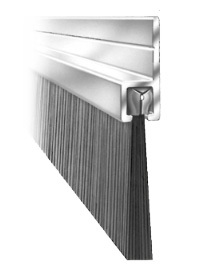 Brush strip orders received by 1 p.m. are despatched the same day for next day U.K. delivery. If you are overseas; Prompt International despatches - Contact Us for your personalised quotation. 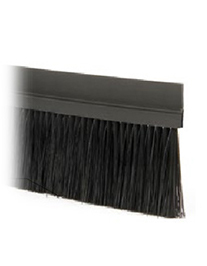 As well as our standard range of nylon filled straight brush strip, we are also able to offer non standard products, filled or formed to customer specification. Please do not hesitate to contact us if you cannot see what you are looking for! 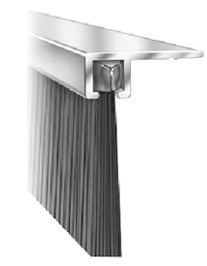 • Available in 6 section sizes, with trim lengths from 7mm to 300mm. • Standard lengths: 2m, 2,5m, of 3m. • Cut lengths are available on request. • Available in 6 section sizes. • For use when aluminium carrier is not required. • Available in 2 different profiles - "H" profile and "CLIP ON" profile. 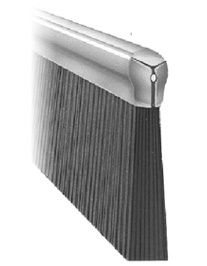 • Very flexible brush, which follows each shape effortlessly. • Available in rolls of 25 metre lengths. • Bottom Door Seal and Centre Door Seal available. 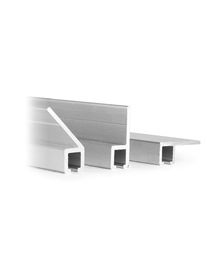 • Housed in pre-slotted aluminium fixing carrier.